The legends of King Arthur and his Knights of the Round Table have always been among my favorites to hear, watch, and read. He is one of the most celebrated literary figures of all time; Arthur and his knights have inspired hundreds of poems, stories, books, plays, and movies—from Sir Thomas Malory’s Le Morte D’Arthur to Monty Python’s Spamalot— spanning centuries. 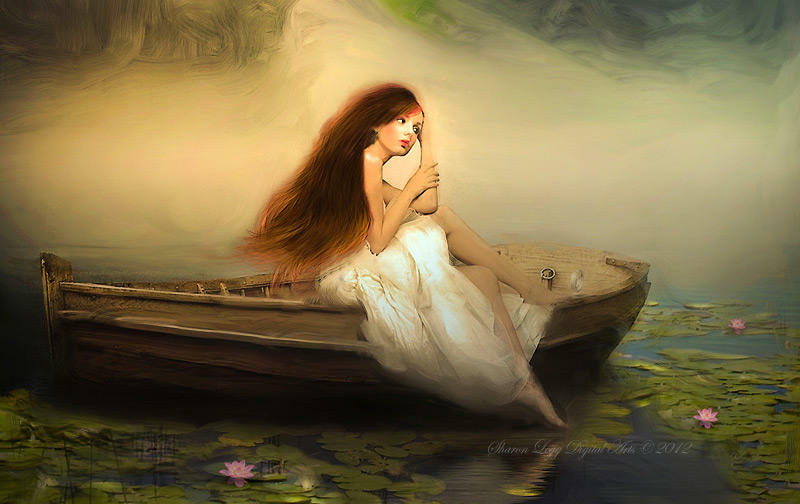 And the Lady of Shalott, is one of the most popular figures from this mythology. She is the unfortunate young woman who falls in love with Lancelot, only to die of a broken heart. It was thrilling to have the opportunity to make a contribution to this canon, to write about my favorite characters. But, I also wanted to try to change something: As I read more and more stories about Arthur and his companions, and began to seriously study Arthurian lore, I started to notice that the girls and women in these stories were not always treated very kindly. At best, it seemed to me, they were damsels in distress who needed a man to rescue them, and at worse, they were chaperones of doom and destruction. This did not seem fair to me. And so, I aimed to humanize the characters, to really scrutinize them with a twenty-first-century magnifying glass and imagine how they might actually have related to one another. As I imagined Elaine, the Lady of Shalott, who truly has suffered at the hands of male writers, I wanted to give her strength and power and relevance. And indeed, it is without a sword, that she manages to save her friends and loved ones. I have always loved the romance and chivalry that fill the Arthurian stories, but the ideals of freedom and equality and justice are truly what make this mythology so important—and continually resonant. The stories of Arthur and his knights have given centuries of readers hope—hope for peace—and I can only wish that readers of this book take away the same hope.